True to its brand promise of ‘Unleashing the Next’, Mphasis, a leading IT services and solutions provider, today announced the launch of a unique initiative in the town of Musiri, Trichy district in Tamil Nadu, to transform the lives of artisans and the weavers’ community in the area. By collaborating with Digital Empowerment Foundation (DEF), Mphasis is transforming traditional skill-based clusters in the Musiri region into an integrated digitally-enabled cluster to empower artisans, weavers, and entrepreneurs for socio-economic prosperity. At an event organized in Trichy, Vishesh Nautiyal, Director - South Zone, Ministry of Textiles, Government of India and P. Vasu, Dy. Director, Dept. of Handlooms and Textiles, Government of Tamil Nadu virtually inaugurated five digitally connected cluster resource centres in Natrajnagar, Manamedu, Mangalampudur, Paithamparai and Thathiangerpet in Musiri. V. Suryanarayanan, Chief Financial Officer, Mphasis and Osama Manzar, Director, Digital Empowerment Foundation were also present at the event. The cluster resource centres have been set up with an intention to provide physical space, digital infrastructure, and various equipment’s required for the betterment of the cluster community. The programme also includes development of a ‘Cluster Wireless Network’ which provides the much needed Internet infrastructure for the cluster community. The cluster wireless network model will create an ecosystem by connecting schools, health centres and anganwadi centres in the region. In order to enhance employability, livelihood, income and living conditions of the citizens, the initiative will deploy a ‘Cluster Core Skills Development’ programme along with ‘Cluster Tertiary Skills Development’ to encourage entrepreneurship and self-sustainability of cluster members. Similarly, the ‘Cluster Enterprise Development’ programme will provide software support for the development of Digital Resource Centre (DRC), enabling digital product designing and processing. In addition, the ‘Cluster Resource Centre’ (CRC) will offer information-based, digital and non-ICT support services for the core and tertiary activities of the cluster. Empowering the members to expand their product reach, the programme also envisions the development of an exclusive e-commerce portal, aiding the cluster community to connect with national and global customers. 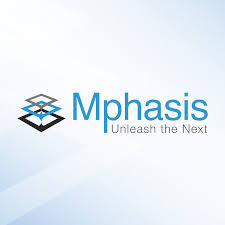 “Mphasis is committed to bringing a difference in the lives of people. As our country is on a journey to create a digitally empowered society, Mphasis being a responsible corporate entity decided to contribute significantly within our limit. According to economic statistics, handloom sector is providing the second largest employment after agriculture in our country. Despite being a mass GDP contributor, they are struggling to sustain livelihoods. We partnered with DEF to create a meaningful difference in to the lives of artisans and weavers’ community by modernizing the way they function, live and trade. By doing so, Mphasis is spearheading the much needed digital inclusion of a larger section of our society,” said V. Suryanarayanan, Chief Financial Officer, Mphasis. ‘’It is essential to digitally empower the rural masses to enable better inclusion with the rest of the country. We are glad to collaborate with Mphasis on this project to transform the lives of a larger part of our rural population and empower them in the digital path. Hundreds of community members have already received digital literacy and we look forward to touching the lives of many more and thus being a part of the larger Digital India vision,’’ Osama Manzar, Director, Digital Empowerment Foundation.